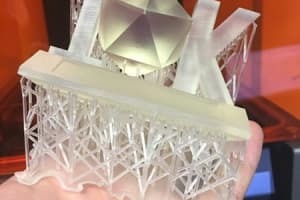 Whether you call it the Digital Twin or hybrid twin, the concept of copying your physical assets in the digital world is sweeping the computer-aided engineering (CAE) and Internet of Things (IoT) industries. In a panel of experts at the Analysis, Simulation & Systems Engineering Software Summit (ASSESS) Congress, engineers debated the definition of the Digital Twin as well as the role simulation and IoT will play in its inevitable expansion. Vendors have also weighed in on the topic, so strap in for a bumpy ride. Let’s start at the very beginning and define the Digital Twin. So, a few things to unravel here. First is the notion that the twin is a representation of a real thing. This precludes simulations from counting as twins all by themselves. “A Digital Twin isn’t a twin until, you know, it has a twin. 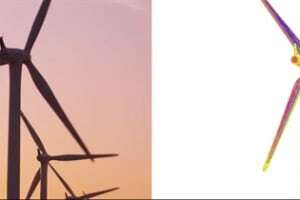 A physical product must exist,” joked ASSESS delegate Anne-Marie Giroux, Researcher at Hydro-Québec. The next piece of information we learned from Maurer is that the Digital Twin is often related to model-based thinking because it links real world data to a systems engineering model of the whole lifecycle of a physical product or service. Though a twin can focus on one aspect of a product, its full potential is unleashed only when its usefulness spans multiple silos in an organization. So, what does a system-level twin look like? Well, to the individual user it will look any another other Digital Twin, since it will only given them the information that they find interesting. After all, why would sales or marketing need to know everything the engineering team would need to know? Ultimately, a Digital Twin will unify all the data an organization needs. So, now we have the Digital Twin and Digital Thread. What’s the difference? 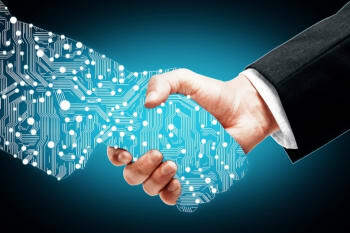 Well, Doug Macdonald, director of Product Marketing at Aras describes Digital Thread as the connective tissue between the Digital Twin, IoT and any other data source. It’s the channel through which information is fed back into simulations, product design and other aspects of the Digital Twin. 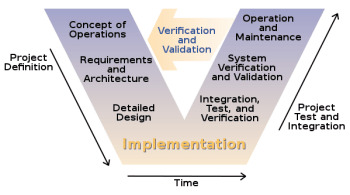 So, with MBSE we are back to systems engineering. Using MBSE tool, engineers will be able to make a system-wide simulation of a product or service for the Digital Twin. 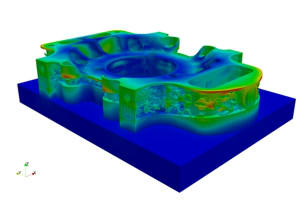 Similar to MBSE, the Digital Twin can incorporate 3-D data/simulations, characterizations of the 3-D data/simulations using response surface models, 1-D simulations and 0-D simulations. 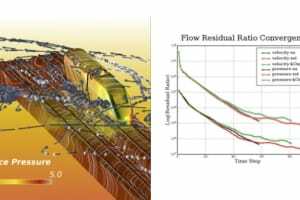 The 1-D and 0-D simulations, as well as the response surface models are used to speed up the system models so they are no longer waiting for slower 3-D simulation. Let’s start with the elephant in the room: some engineers get hung up on the word ‘twin’, claiming the concept of the Digital Twin is impossible since there’s no way to digitally account for ever aspect of a physical thing. However, no one needs a tool that can account for everything from the subatomic to the cosmic scale. 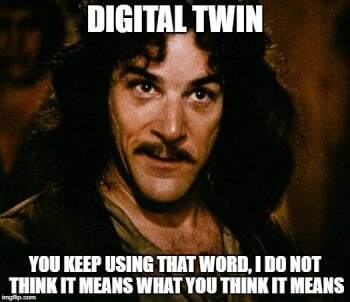 That’s also not the point of a Digital Twin. The Digital Twin simply links all the physical data inputs and digital model processes useful to an organization. Let’s use Occam’s Razor for a second to dispel the myth that a Digital Twin needs every conceivable piece of information about it’s physical twin. There would be no way to filter the data dump. Just like every other device in the engineering toolkit, the Digital Twin will necessarily involve simplifications and assumptions in order to be useful. 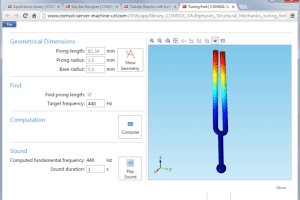 If skipping lessons on string theory is okay for finite element analysis (FEA), then it’s okay for the Digital Twin. In other words, a Digital Twin is simply a virtual representation of all the information users need to supplement their work—no more, no less. It’s a question of scope. Sure, an organization can gather more data than that one user might need. 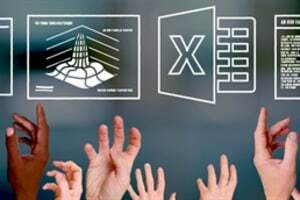 But that would simply mean there are more Digital Twins for each asset, user or relationship or one Digital Twin that filters data accessible by a user’s role. 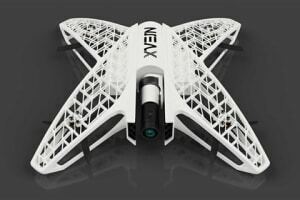 Is the Digital Twin Just a CAD File? So now that we have limited the scope of the Digital Twin there is a tendency to swing the pendulum too far the other way and conclude that the Digital Twin just a CAD or CAE model. The fallacy here lies in confusing the twin with a model. As stated above, for a Digital Twin to count as such, it needs a physical counterpart with which it can interact. 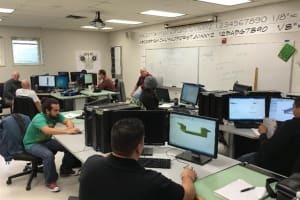 Remember that the Digital Twin is a system-level tool, which encompasses design, and notice how Ribet still references a “real twin.” This means that once you hook some sensors up to a prototype and link the data back to a digital model you now have a Digital Twin that is live before the product is. 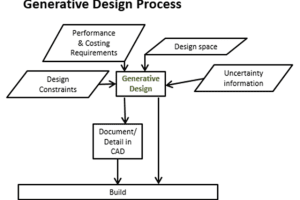 In the end what sets a CAD model apart from the Digital Twin? 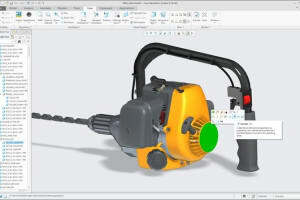 The CAD model is not automatically changing in response to changes in a physical asset. Why Do You Need a Digital Twin? So, what makes this Digital Twin so useful? Why would anyone want to have a virtual representation matching what they can already see in real life? The data you get from your Digital Twin can open up new product opportunities, suggest maintenance cycles, improve future designs, track products in the field and predict how the product will react and validate your initial design decisions. (Image taken by Shawn Wasserman at LiveWorx 2015). “To me, it can become a twin only when that device is in operation. Then you begin to have some feedback on how [the physical twin] is really aging and being operated,” - Anne-Marie Giroux, Researcher at Hydro-Québec and ASSESS delegate. “Many uses of the Digital Twin will be in real-time or close to real-time. You want decision support? That is not a year or week later: it is now,” - ASSESS delegate. “Using the Digital Twin in simulation can both improve operational procedures, and in contingency planning, it can even be embedded in the control system loop,” - Srivathsan Govindarajan, Vice President, SAP Digital Twin. “In the future, Digital Twins in manufacturing will help detect potential quality issues earlier on, or even improve the quality of the product being manufactured through delivery of new insights,” - Srivathsan Govindarajan, Management specialist at SAP. “Some companies try to leverage what exists in data already from understanding their design. So, it’s richer than a simple model for design. They are using data from previous experience,” - Fouad El Khaldi, General Manager of Industry Strategy & Innovation at ESI and ASSESS delegate. The Digital Twin is clearly a comprehensive tool, with the ability to help out countless verticals in an organization. If you are only looking at the data, or only using the data to accomplish a single task, then you probably aren’t making the most of your Digital Twin set up. So, how do you build a Digital Twin? Let’s dig deeper into what both simulation and the IoT have to offer the Digital Twin. 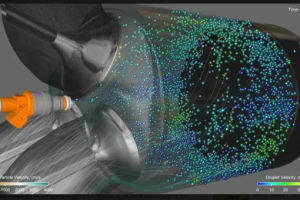 What Role Will Simulation Play with the Digital Twin? As previously noted, simulation will take part in the design of the physical counterpart to a Digital Twin. 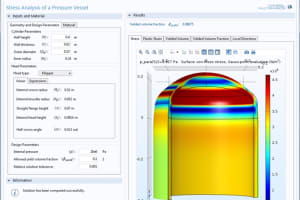 This isn’t so different than the traditional use of CAE with current products. 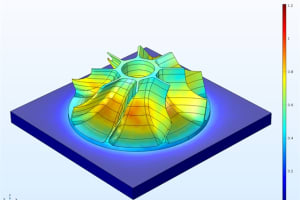 By feeding real-world data collected from the twin back into designs, engineers can improve future models of a product or even its current operation in the field. 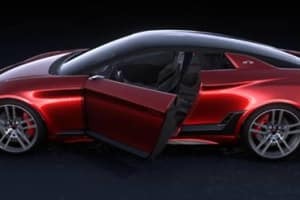 In other words, engineers will be able to use simulations linked to the Digital Twin to predict how the physical twin will perform in a real-world environment instead of the ideal and perceived worst-case conditions outlined in the design process. Now, one might be tempted to call “foul play” here, since 3D simulations are quite slow to respond with results. That might make it hard to believe that simulation can benefit a production line or equipment in the field. 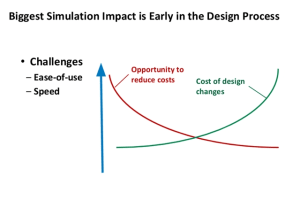 Nevertheless, this is why it will be important to link up various simulation technologies to Digital Twins to meet the application at hand. 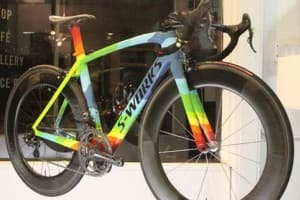 Sure, you might need some slower 3D simulations for a twin in the design or prototyping stage. 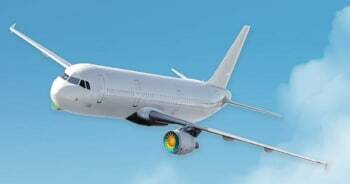 But for operations, 1D simulations and 1D characterizations of 3D simulations are often sufficient. 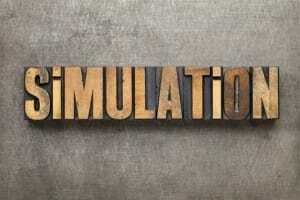 One of the most tantalizing possibilities is using simulation to assess how long the product will remain operational. Imagine a Digital Twin that keeps track of its own mortality, its own wear and tear. Using simulation, the twin can then estimate its remaining working-life and report back to maintenance. What Role Will the Internet of Things Play within the Digital Twin? A lot of the benefits we hear boasted about the IoT we also hear repeated for the Digital Twin: preventative maintenance, analytics and AI-optimized systems. So, what sets them apart? In other words, the IoT acts as the bridge between the physical and the digital. 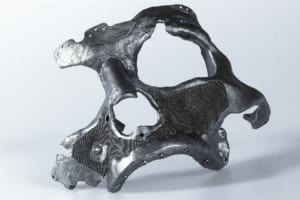 Everything will be fed into the Digital Twin, from the temperature and moisture of the environment to the production status of the current batch. There is no doubt that the IoT will be a popular option to gain insights about a product, but it won’t be the only one. 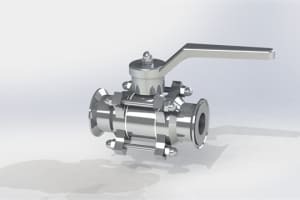 Traditional sensors can also contribute to the Digital Twin, so don’t toss out that SCADA data yet. Of course, the IoT does offer more flexibility with respect to the product’s mobility, location and monetization options. Take Caterpillar’s product-as-a-service model of selling the capacity to move dirt, rather than selling equipment outright. A sure sign that the Digital Twin is a new technology is the anxiety it engenders regarding privacy and ownership. The idea of sharing this much data with suppliers, and therefore potentially competitors, might sound a little scary, especially when you’re concerned about IP. It certainly caused a stir at ASSESS. 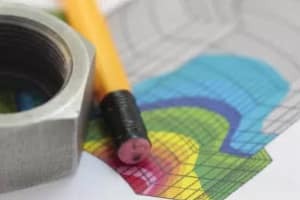 It’s great to use data to improve manufacturing operations, but most manufacturers only have a small pool of equipment data on which to base their optimizations. Their suppliers, however, might have hundreds or thousands of connected equipment feeding them data. This larger dataset translates into more optimization potential, which has led many vendors to believe that customers will be sharing their data with suppliers. This is all made possible with the IoT and a slew of Digital Twins, each being monitored from a central location that recommends maintenance cycles. In this case, the ownership of the data becomes a little cloudy especially if the equipment is now rented. Clearly, we are just at the start of the Digital Twin story, and the truth is that it’s still being written. The big question is: What will you be using the Digital Twin for? For more on ASSESS and how to become a member, click this link. For more on building an IoT system for your Digital Twin read this eBook: Comparing Platforms for Developing New Internet of Things Products. For more on the Digital Twin, watch this webinar: Using Digital Twins for Fast, Low-Risk Virtual Commissioning.